Stillwell is one of many local suds-makers celebrating Canadian craft this weekend. The downtown tea emporium is changing lanes during the Canadian Brewing Awards, offering four taps of Boxing Rock Brewing as well as tasting flights in four ounce glasses. Celebrate the kickoff of the Canadian Brewing Awards with this tap takeover. Raise a glass to the kickoff of the Canadian Brewing Awards at The Stubborn Goat as the gastropub highlights seven different suds from Spindrift and Garrison breweries. To celebrate the Canadian Brewing Awards' touching down in Halifax, the Barrington street brew-bringer raises a glass to its' 30-ish favourite producers nationwide (some of which have never been poured on the east coast). 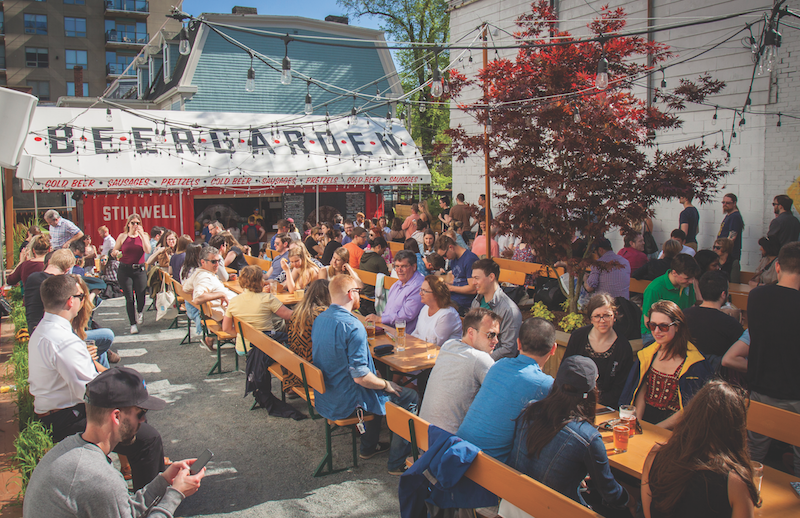 With beers being tapped at both the bar and its' Spring Garden Road beer garden all weekend long, sud fanatics will wanna follow along on social media so they don't miss a drop. In time for the Canadian Brewing Awards, North Brewing Company shares five beers crafted in collaboration with microbreweries from across the country. Sip the results at this release party and save room for the Escarpment Labs tap takeover (featuring suds made with Escarpment Labs yeast and cultures). This edition of Propeller's cask night features an ESB flavoured with Skor. Toffee fans, your time is now. The Robie Street spot describes this night out best: "A night full of Motown music and a chance to drink everyone's favourite local beer—Oland's—at a classic hipster bar." Sign us up. Stillwell celebrates the release of two new styles of suds and the arrival of the Canadian Brewing Awards with this sipping sesh featuring the cherry-raspberry Disco and the peach-y Preach. Get the bottles while you can! The Robie Street's spot annual celebration of belly-bearing tops—and all bodies wearing them—returns. Show up with your navel out or borrow a pair of scissors at the bar to take part in the body-positive good times.